Last time I wrote a post about the second painting I did in my lifetime – Berkeley the Cat. This time I am going to talk about my very first painting, which is also the first painting in my feline Philosopher series. 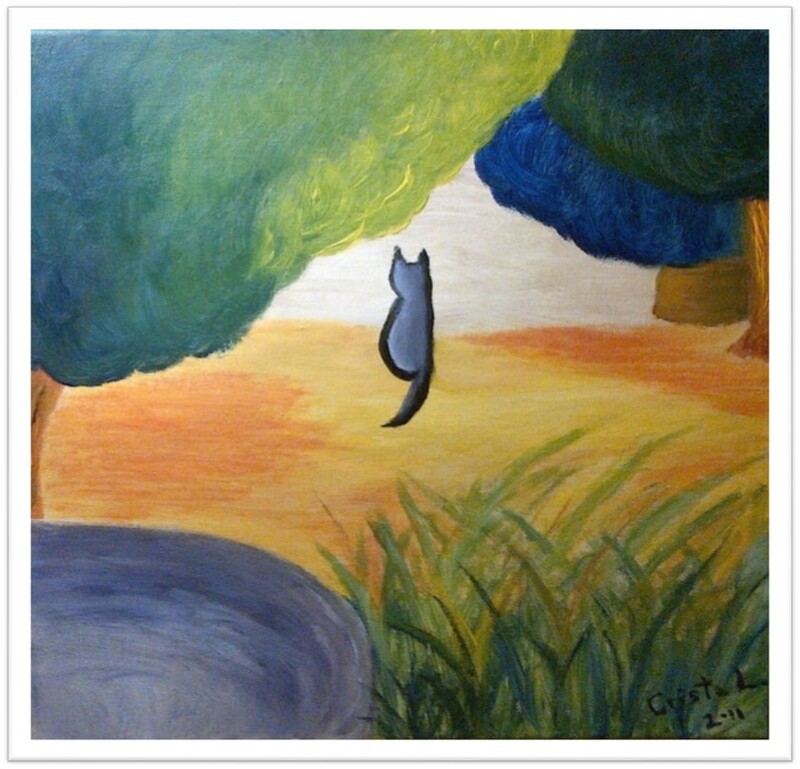 This painting – Plato the Cat – was completed in 2011 prior to Berkley the Cat. At that time I wanted to paint something but I was not sure what to paint and where to start. And then a spark of idea went through my mind and I decided to combine the two things I like – Cats and Philosophy – and created the feline Philosopher series. So far there are only two philosophers – Plato and Berkeley – featured in this feline series, however, I do have plenty of ideas on who and what to paint next, except that the ideas are all over the place in my mind at the moment and I have not decided on how to express these ideas with colours, shapes and strokes. The core idea of my feline Philosopher series is to express a philosophical concept of a philosopher implicitly in the painting I create, and in which the philosopher is represented by a figure of a cat. 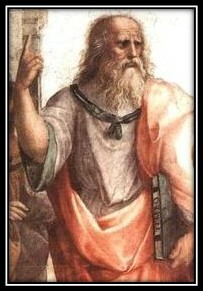 In Plato the Cat, Plato is a thinking cat, just like the famous ancient Greek philosopher Plato. It desires a perfect world. It desires wisdom. It not only desires to understand the nature of the world, but it also desires to discover the reality and to see the truth. Plato the Cat is peering the outside world. 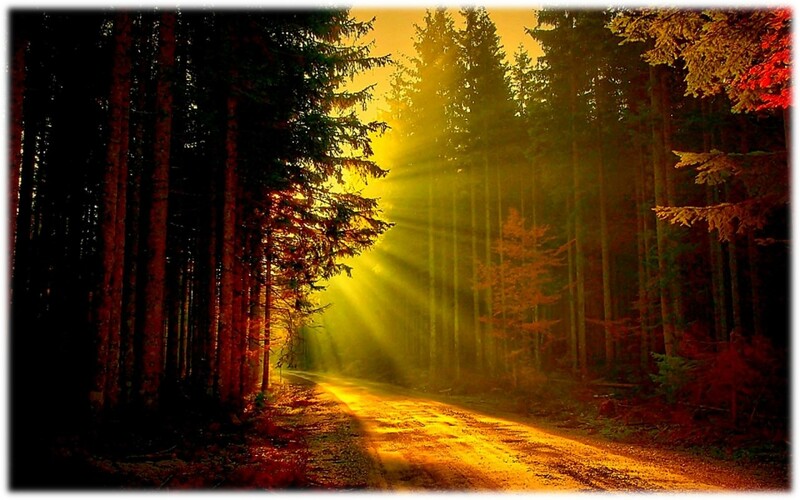 It no longer wants to be trapped in the forest and in darkness, it desires freedom, it desires to follow the sunlight and see the real world, so today it decided to leave its habitation, that is, its cave, Plato’s Cave. Remember the Allegory of the Cave? It is a parable presented by Plato in one of his most famous literary works – the Republic. 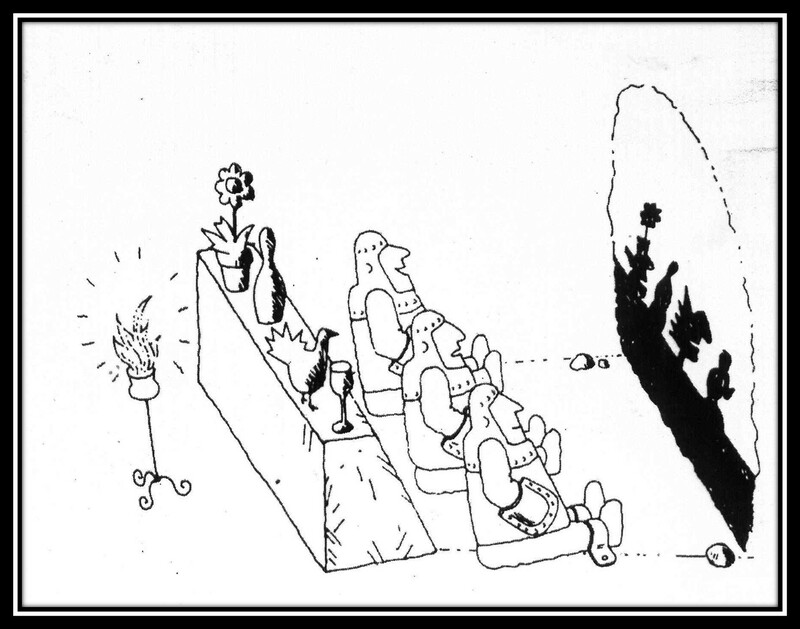 There are many interpretations of Plato’s Allegory of the Cave. Some interpret the story in the context relevant to the ancient world; some interpret it in the context of the modern world; some interpret it in relation to heaven and earth, in the context of religion. In my painting, Plato the Cat is a thinking cat and it often talks to itself. It has considered all the interpretations of the Allegory of the Cave and it decided to leave its cave and step into the unknown world. Here is an excerpt from the text which is worth to ponder upon. Going into the light is not easy. Let’s wish Plato the Cat all the best with its journey to the unknown world. Bon voyage! This entry was posted in Draw, Read, Think. Bookmark the permalink.